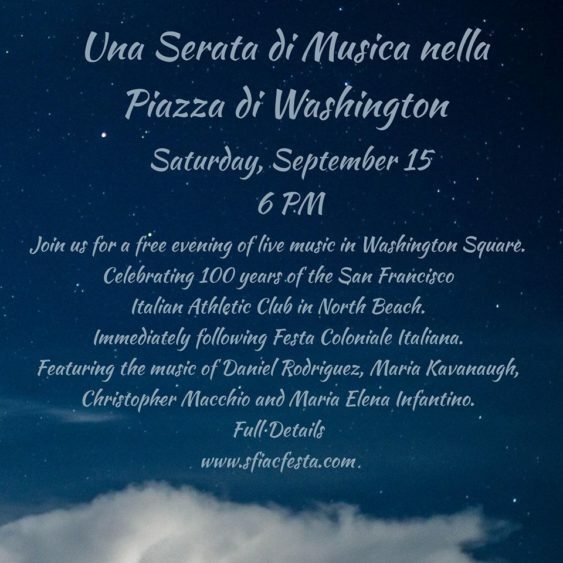 Join for a free evening of live music in Washington Square and celebrating 100 years of the San Francisco Italian Athletic Club in North Beach. Immediately following Festa Coloniale Italiana. 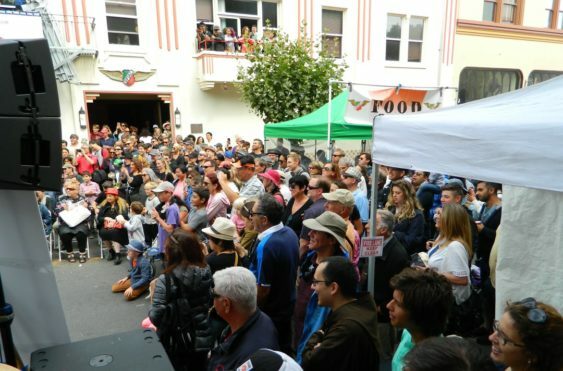 Featuring the music of Daniel Rodriguez, Maria Kavanaugh, Christopher Macchio and Maria Elena Infantino.